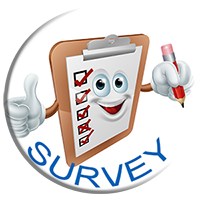 Our technicians are professionally trained to follow a very thorough 17-point checklist! 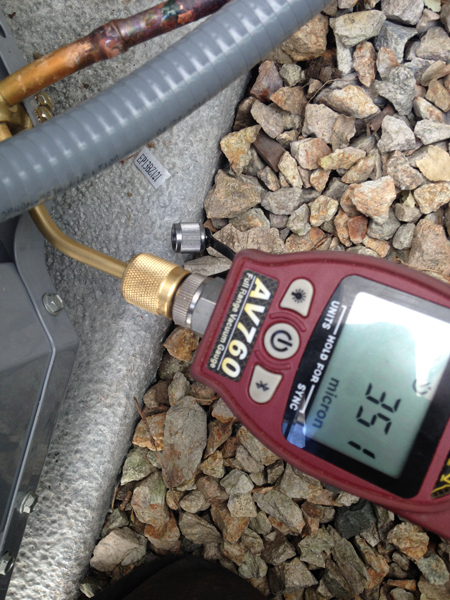 Regular maintenance helps your unit's efficiency. 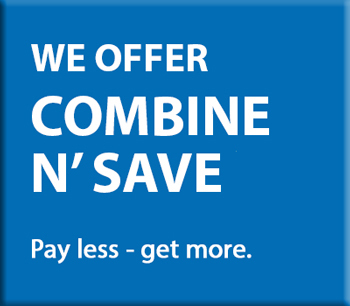 As in any mechanical system, maintenance can help prevent costly breakdowns and make the unit last longer and we recommend a yearly maintenance appointment. 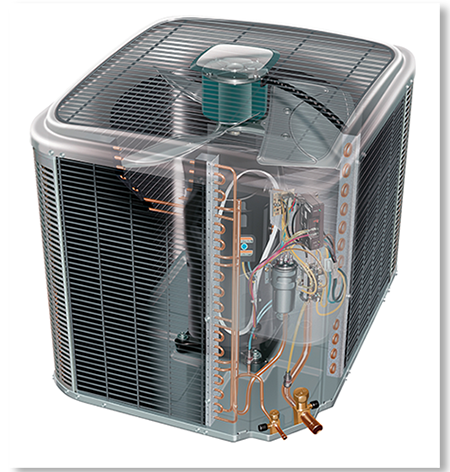 Okanagan Heating & Air Conditioning Ltd's licenced, bonded and insured technicians are professionally trained to conduct a very thorough 17-point check, which combines tune-up, safety check and cleaning of your central air conditioning system. Dog urine contains chemicals that eat away aluminium and can ruin your air conditioner. 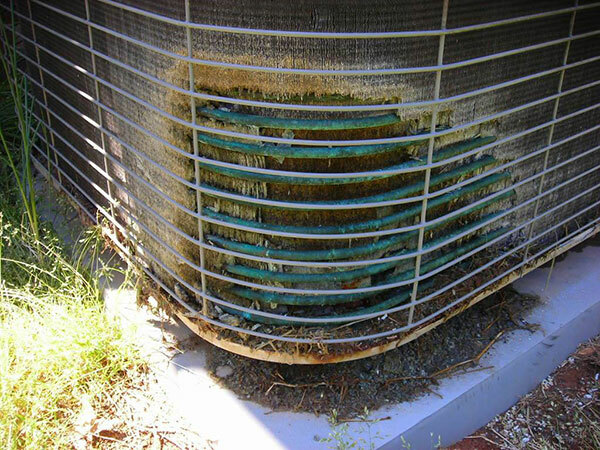 Unfortunately, many air conditioner fins and coils are coated in this metal, and with time the fins become dust and the coils begin to leak. 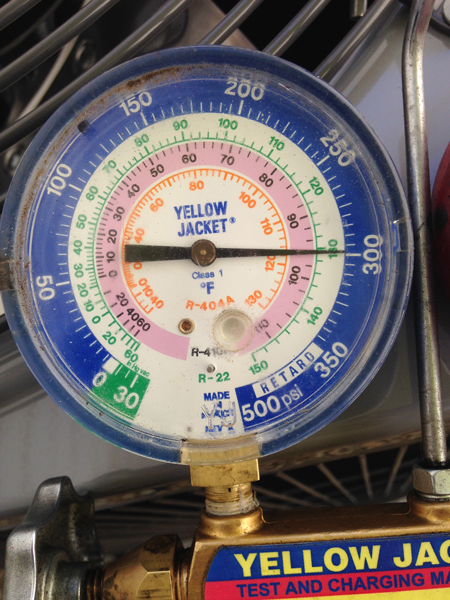 The refrigerant will leak out, and within a matter of hours or days the system could be emptied. 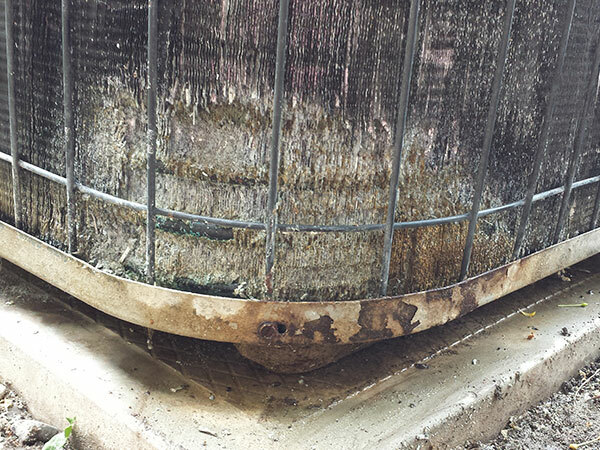 When this happens to your unit, you run the risk of burning out the condenser, and the holes created by the urine are often enough to destroy the unit completely. This entire process could occur within about a year's time, and once damage has reached this magnitude, replacement is really the only option. 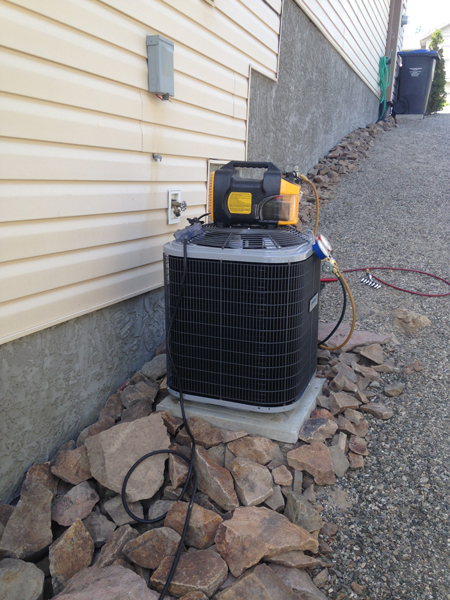 If you find this an issue at your home, you should put some protective boundaries in place, such as fencing, around the condensing unit.